As you may have noticed, there’s a new tab at the top of the page titled “Scoring Guide.” If you click it, you’ll see a list of possible scores from 1-10, and you’ll see in a little detail what each one means. This guide will correspond to all game reviews on this site.This way, you’ll always have a reference as you read each review, and you’ll have a better idea of what each numerical score means. Of course, if I award a game a decimal score (i.e, 7.5) you’ll have to read between the lines to realize that it shares aspects of both the number above and the number below it. This guide is not meant to be used explicitly; there will be details in the review that will explain why each game received its respective score, but at least this will serve as a summary and a reference. I will most likely be updating that tab in the future with more details, but for the time being, I hope this is an upgrade from having no visible scoring rubric at all. I’ve also included the guide in this post so you can see it. Thanks for reading; that’s all I have for today! Whoa. I mean… whoa. Outlast is spooky. I can’t remember the last time I ever experienced anywhere near this much adrenaline while playing a video game. My heart beats faster around every turn; my palms grow sweatier with each passing moment. When I’m being chased, I’m fully enveloped in the action. My mind races faster than I imagined it could; “which way do I turn to get out of here?” Even though I fear booting up this game every time I sit down to play, I still can’t wait to get started each day. It’s like a bizarre addiction that I hate, yet I long for. 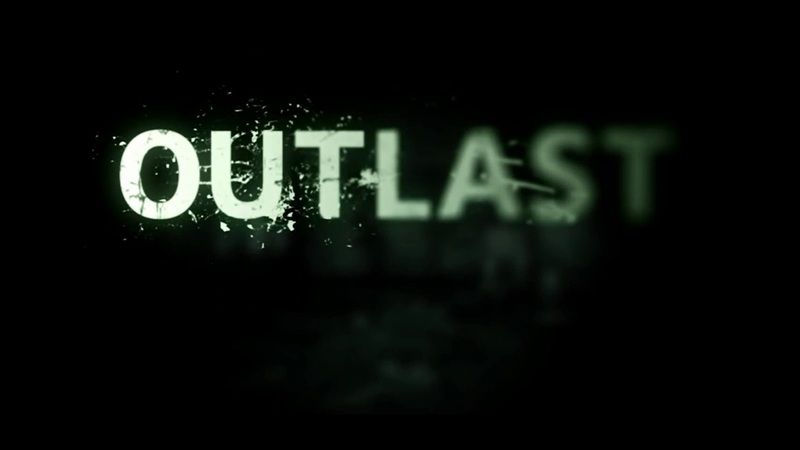 Outlast is truly a great game so far, and even though I’m not sure I can necessarily say being scared out of my pants is “fun,” Outlast truly accomplishes the task it sets out to do. I’ve had Battlefield 4 for my PS4 since launch, and I’ve definitely had my ups and downs with the game. Although I cannot condone the fact that Battlefield 4 was buggy and unfinished at release, it is an amazing FPS at its current state. In fact, I love the action so much that I’ve dedicated 95 hours to the game so far, according to my Battlelog. However, my dad also bought Battlefield 4 for the PS3 since I designated my PS4 as off-limits, (hey, it took months of saving for this; like heck anyone’s touching it) and I’ve been curious to see what the difference is between the last generation edition of BF4 and the current gen version. As it turns out, there is a pretty huge difference between the two versions, and considering they are both the same price, it makes the old version almost not worth buying. After spending a little while (an hour was all it took) with the PS3 version of Battlefield 4, I am convinced that there is a true, almost tangible difference in the quality between the old and new systems, and it really brought to my attention how far we’ve come, and how far we have yet to go. Unless you live under a rock, you’ve undoubtedly heard about the saga of Flappy Bird. This 8-bit game comes out of nowhere to take the world by storm, and before long, dominates both the App Store and Google Play. Then, just as quickly as it appeared, Flappy Bird’s creator says he’s unhappy with the game, and he decides to pull it from both stores. Just like that, Flappy Bird’s two-week reign came to an end. Now, a new Flappy-esque game is climbing up the ladder: Ironpants. Ironpants is sitting at #4 on the Google Play Store, at time of writing, and it may reach the top spot before long, as players are still in the tapping-to-fly craze. With that being said, which is better: Ironpants or Flappy Bird? Well, both feature similar controls, art styles, and objectives, but oddly enough, the two are pretty different in one key way: difficulty. Read on to see what I have to say about these two addictive games. Gears of War was a good game; in fact, it was good at a lot of things. The controls were good, the graphics were good (for its time), the level design was good, and so were the guns. But therein lies the problem: the game was just good and it never really excelled toward being great in most aspects. For almost everything GoW did well, I saw many ways it could have done better. With that being said, the game was good enough to make playing the sequel worth my time at some point in the near future, as I hope to see if Gears of War 2 fixes the problems that were presented in the inaugural entry. In the end, I enjoyed Gears of War, and although I probably won’t be revisiting the campaign solo anytime soon, I walk away glad that I took the time to take in this experience. Wow. I’ve written a hundred posts. I know many of you reading this have written far more than this; some of you might post that many in a couple months. For me, however, this is a sort of milestone. For me, cranking out several articles a week while keeping up with the other portions of my hectic life can be difficult at times, but this 100th post milestone means that I’ve actually stuck with something to see it grow. I’ve actually put forth a lot of effort to create something I love, and as my number of posts reaches into the triple digits, it is a marker that shows my dedication to the blog over the past 6 months. Likewise, this accomplishment is as much yours as it is mine. Without you, the faithful readers, I would have no reason to continue blogging. Let’s face it, although I enjoy what I do, it’s all the more gratifying when I see a comment building upon what I’ve written or creating a sort of community on the blog. It’s what I strive for, and I want to thank you all for being a part of it thus far, and I hope that you keep coming back to see what happens in the future. I won’t lie; I found Blacklight Retribution to be a fun game at it’s best, but it’s much less than that at anything less than its best. The game is fast paced, graphically appealing, and action packe. Unfortunately, that’s about all the good I can say. Retribution features loose controls, and the game modes aren’t very inventive. It is a free-to-play game that takes its prices to extreme levels, and it’s expensive to unlock the items you want. As of now, the game is quite laggy (it’s still in Beta, which is why I’m not giving it a legitimate review). Overall, a fun concept is marred by quite a few issues, though all are fixable, and I hope they will be fixed when the finished product is officially released. 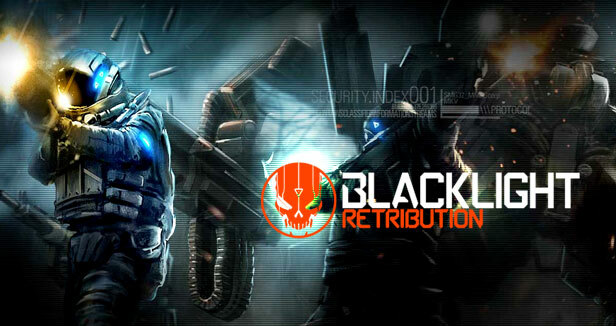 Read on to see a more detailed overview of Blacklight Retribution.